Retailers and other traditional industries are still struggling to grapple with the challenges of the digital age. One problem is that many established brands are failing to take full advantage of new technology, such as increasingly sophisticated automation and Virtual/Augmented Reality (VR/AR) technology. As such, the technological revolution has been accompanied by a slowdown in the growth of more traditional businesses. Across the world, online first is a secular consumer trend and increasingly advanced technology has led them to expect a more proactive, personalised service. The rise of technology-based services has led to an Increasing engagement with companies like Amazon, Facebook and Netflix, which rely on technology but don’t physically manufacture or directly produce content. This points to one of the biggest trends of the current age: the rise of software-based companies. Software is providing customers with experiences that were never previously available, such as the ability to try on clothes before ordering online. Can you imagine walking into a shop to look at a product but having to queue before you could? This is what slow site speeds do to customers online. Or not being able to turn a product round so you can see it from all angles? That is the shopping experience many consumers are met with when shopping online at older brands. Consumer behaviour is evolving at a faster pace than many businesses can cope with. Consistently, across the board, traditional firms of all sectors are failing to deliver what their customers want and expect in the digital age. And, for those that fail to keep up, the impact can be substantial. From one perspective, business failure is part of what switches capital away from what doesn’t work and over to what does. But with the rise of the empowered consumer, software is increasingly the key to success for any business. With more computing power available through the cloud, more established companies, such as US retailer Target and global bank BBVA are adopting technology as a key differentiator. To support this trend, companies like Red Hat provide the necessary tools and application platforms under an open-source license that help companies develop their digital platform and SaaS offering or modernize existing applications. This enables established businesses to become more agile and respond more effectively to customers’ needs. One retailer taking such an approach is Swiss based online supermarket LeShop.ch, which with the help of cloud-based platform-as- a-service solution OpenShift from Red Hat, has taken a more agile and adaptive approach to business. The SaaS model has taken off because it delivers flexibility in the underlying infrastructure while taking advantage of a business’s existing IT investments. This has fuelled the rise of “weightless” companies, firms that can attain high valuations with minimal staff and capital. With technology changing the way companies operate, there are some significant trends that can help established companies stay ahead. The first is big data which has transformed industries across the board by helping businesses better understand their customers and become more proactive via intensive analytics to not only responding but also predict trends. A key technology taking off alongside big data is the Internet of Things (IoT). With more items being tagged and more data generated every day, the smartest companies are being proactive and applying IoT technology to various parts of their business. 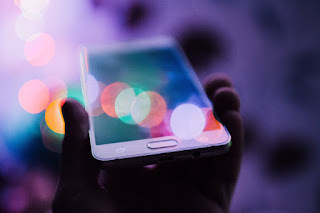 Being able to connect more devices to the internet will give businesses more intelligence and the ability to bolster the efficiency and effectiveness of their operations. There is also a rise in containerisation. Just as there has been an increase in companies virtualizing their infrastructure to make them more flexible; today we are seeing a growth in the containerisation of software platforms. While this may sound abstract, it is a key enabler for DevOps that senior leaders across the world are looking to have their IT departments embrace. DevOps fundamentally promotes a much tighter relationship between various groups so that applications and services can be released quickly to drive innovation. The concept of containerisation was developed in order to get software to run reliably when moved from one computing environment to another which is a key requirement for DevOps. Because you don’t need a virtual machine for every app, containers can be quicker to create and launch. This enables a company to pack a lot more applications into a single physical server and, ultimately, do more with its resources while also speeding up development processes and updating applications with new functionality in less time. Whether in retail or transportation, every company regardless of the business it’s in must develop a core competency in harnessing the power of technology. However, it’s not just the technology; it’s the entire culture of traditional businesses that needs to change. In this digital age, it is necessary to learn from the Amazons of the world and foster a culture of innovation and disruption. This means taking a more DevOps approach to business. So while brands don’t have to change their prices multiple times a day like Amazon, they should aim to generate a cycle of innovation and break down internal barriers. More than ever, there is a need to bring together different teams across the company to collaborate and share ideas. To help their organisation manage the cultural transition towards digital and a software-first approach, it is increasingly the role of the CIO to guide company strategy. The Harvey Nash CIO Survey found that in 2016, 34 percent of CIOs report directly to the CEO - the largest proportion in 11 years. And an IDG Research study found that the CIO collaborating with other departments increases productivity (87 percent); informs decision-making (83 percent); and increases end-user satisfaction (80 percent). This broadening of the CIO’s traditional role is a necessary step to ensure organisations put technology at the heart of their strategy and don’t get left behind. The digital transformation continues, and its pace has been steadily accelerating as a result of increasing globalisation. The technological revolution could still hold many surprises. It may create vast numbers of jobs nobody has yet imagined, or boost the productivity of less- skilled workers in entirely new ways. But for now, it is safe to say that brands which fail to adapt won’t survive long. The death of the well-established retailer is just the beginning. The death of the well-established retail model is underway. And the winners will be the businesses that think digital from the top down.